We'll have a table in the artist alley of the summer edition of the Atlanta Comic Convention on Jul. 8 at the Marriott Century Center on 2000 Century Blvd., Atlanta, GA. 30345. 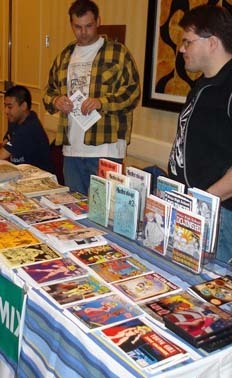 Some of our regular Mini-Komix artists and writers will be at the table, as well as others with their own spots at the convention.